PENSACOLA, FLA - (FEBRUARY 2015) - Homeowners looking for privacy within the home, but desire natural airflow, are finding the solution with Hy-Lite operable acrylic block and decorative glass windows. Designed to offer beauty to a room while preventing too-close-for-comfort neighbors to look into the house, privacy windows become the view for homeowners. "These windows are designed to be artwork for the interior of the home," says Roger Murphy, president of Hy-Lite, a U.S. Block Windows Company. "Natural daylight flowing through these windows creates an attractive setting. And, operable casement, awning, slider and single hung units can easily be opened to encourage airflow in the home. "Whether it's an acrylic block window directly over a bathtub or a set of decorative glass windows in a kitchen, privacy windows are the perfect accent for any room. There are a wide variety of styles, sizes and enhancements that can be requested with the windows to customize the units for the personal style needs of the homeowner." Murphy also stresses that privacy windows can help builders enhance their new home projects by adding the "ahhh factor" to a room. "Every time I see a homeowner go into a room with a privacy window they stop and get 'captured' by the window," says Murphy. "It's such a beautiful focal point in a room that builders tell us the use of these windows in their projects really sets them apart in the marketplace." 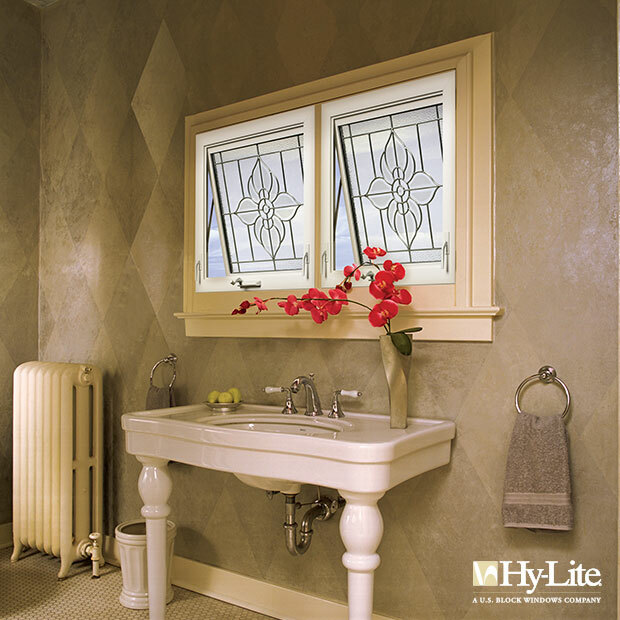 Hy-Lite, a U.S. Block Windows Company, is the leading manufacturer of acrylic block, glass block and decorative glass windows. The company's privacy product options include acrylic block shutters, accent panels, radius walls, partition walls, door inserts and shower kits. Since 1988, the Pensacola, Florida-based company has been committed to providing residential and commercial construction professionals and homeowners with elegant, affordable privacy window designs.